but when the time come for the drop to go back to its starting point, I can see it going through the whole model. the project was made in Maya(2018) on 24 fps and then I’ve tried to restart the whole animation again in 60fps - and still got the same result here on Sketchfab. Switching to frame-by-frame view seems to work correctly, so we are probably interpolating in an unexpected way. @waleguene can you offer any advice? This is due to the difference of animation playback between 3D softwares and Sketchfab. In softwares it’s common to have a “frame by frame” playback, on which you work to create your animation. 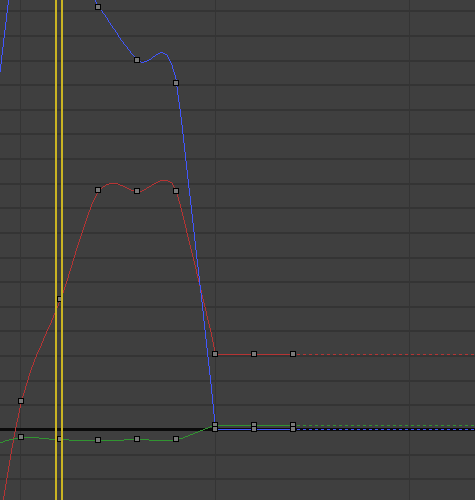 The problem is that the real animation is actually a curve, defined by the keyframes and their interpolation/tangents. On Sketchfab, animations are resampled at 30 fps, and the sampling doesn’t always follow the one you have in the software, for example a keyframe on Sketchfab can easily fall between two original keyframes. This means that it’s the curve that is defining the real animation, not the preview in the software. Our FBX processing is able to detect this and take it into account when resampling the animation, in order to give the right result.